Compatibility with the Canon RC-V100 Remote Controller (expected to be available in June 2014) has been added. Peripheral illumination correction data has been added for the [CN-E35mm T1.5 L F] EF Cinema lens and the [EF-S55-250mm f4-5.6 IS STM] EF lens. Fixes a phenomenon in which the EF Cinema lens’ F number was incorrectly displayed. 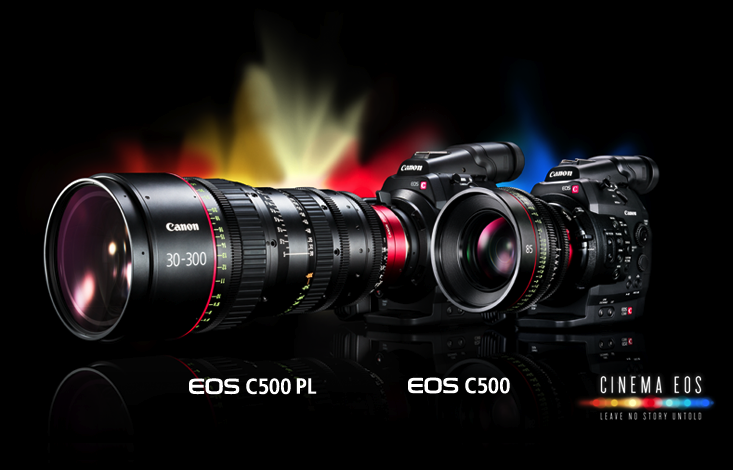 Download Firmware Version 1.0.5.1.00 for the EOS C500 / C500 PL. Firmware Version 1.0.4.1.00 for the EOS C100 incorporates the following improvements and fixes. Peripheral illumination correction data has been added for the [CN-E35mm T1.5 L F] EF Cinema lens and the [EF-S 55-250mm f4-5.6 IS STM] EF lens. Note : Firmware Version 1.0.4.1.00 is only for EOS C100 cameras without the Dual Pixel CMOS AF Feature Upgrade. If the EOS C100 camera has had the DAF Feature Upgrade applied, please download Firmware Version 2.0.4.1.00. Download the new version of the Instruction Manual for the EOS C100 which provides more information on the new features and benefits available in this firmware update. Download Firmware Version 1.0.4.1.00 for the EOS C100. Firmware Version 2.0.4.1.00 for the EOS C100 incorporates the following improvements and fixes. Note : Firmware Version 2.0.4.1.00 is only for EOS C100 cameras with the Dual Pixel CMOS AF Feature Upgrade applied. If the EOS C100 camera does not have DAF Feature Upgrade applied, please download Firmware Version 1.0.4.1.00. Download Firmware Version 2.0.4.1.00 for the EOS C100.